Introduced first in 1932, the iconic Bullet badging is the oldest continuous production motorcycle in the world. From an inclined powerplant with exposed valve gear in the first model to an alloy based Unit Construction Engine (UCE), Royal Enfield Bullet has come a long way. Two very prominent models were released between the 40s and 60s which lifted Royal Enfield’s names to the top of motorsports. These were the ‘Clipper’ and ‘Trials Works Replica’ editions. Paying tribute to the latter, the Eicher owned brand has launched the Royal Enfield Bullet Trials Works Replica. But what exactly is the hype surrounding them and how different are they from the Bullet 350 and Bullet 500? Let’s find out. Royal Enfield has a long and proud history of building tough and enduring motorcycles. The Bullet has been the most enduring of them all. The International Six Days Trial is the oldest off-road motorcycle event and is correctly regarded as the toughest and most strenuous motorcycle championships. The Royal Enfield Bullet right from its hay days was considered as the perfect material for the prestigious Trials Championship. 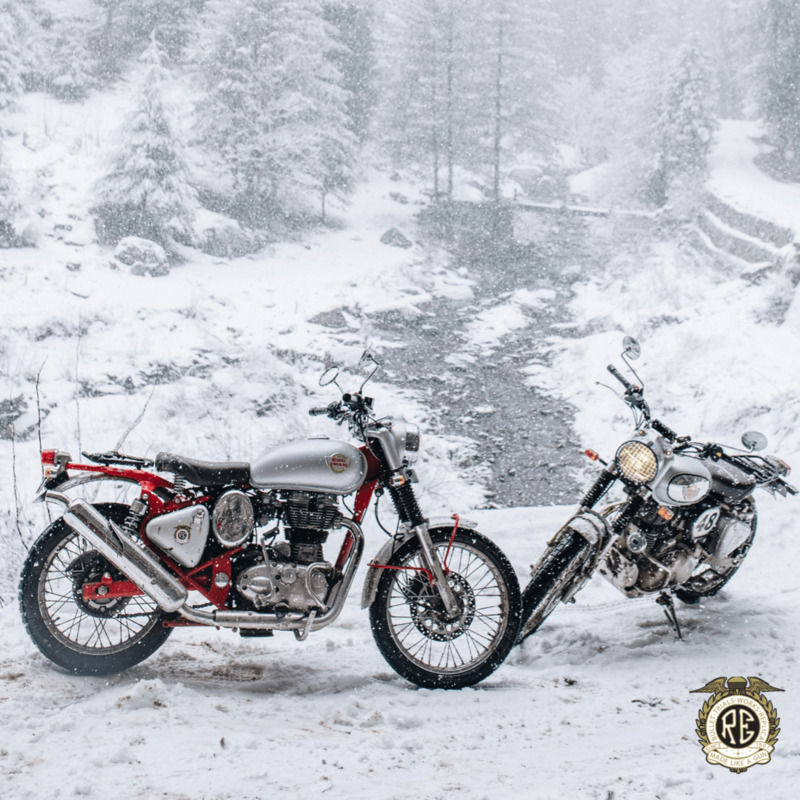 Overcoming rough mountain tracks, slimy mud ridden hairpins and choking dust, Royal Enfield Bullet won the International Six Days Trial for the first time in 1935, barely in the third year of its introduction. Daredevil riders like Charlie Rogers, Vic Brittain and Jack Stocker helped Royal Enfield become the only British squad which did not drop even a single point. In 1937, the Royal Enfield Bullet Trials Works helped them win 37 trials trophies and 6 gold medals! In 1949, Frank Carey and his passenger, rode their 11-year-old Royal Enfield Bullet 350 to win a gold medal by completing the trial without dropping a point. Charlie Rogers and Jack Stocker helped Royal Enfield win the manufacturer’s team award. 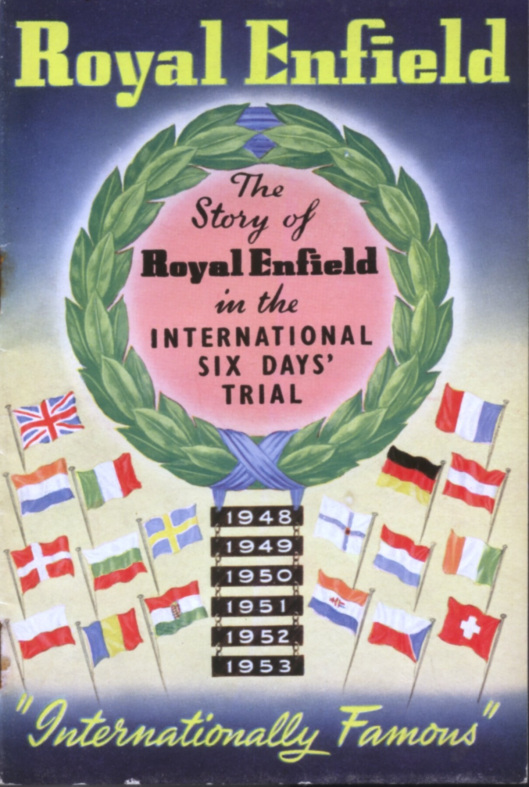 The legacy of Royal Enfield at International Six Days trial was instrumental in Indian Army selecting the Royal Enfield Bullet in 1952. A total of 800 Bullet motorcycles were ordered that year. The introduction of swinging arm suspension with oil-damped shock absorbers in 1949 was a revolutionary technology at the time. Royal Enfield Bullet Trials Works was the first production motorcycle with this tech, helping the Bullet gain an advantage ahead of the competition. In fact, in 1950, Royal Enfield Bullet 350 Trials were the only machines in its class to not drop even a single point. In 1953 Jack Stocker won his sixth successive gold medal. 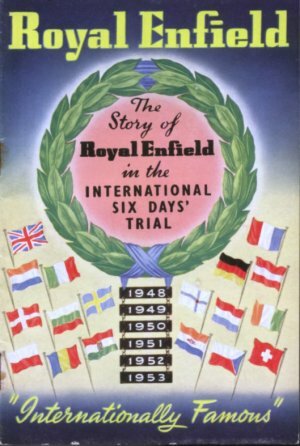 Vic Brittain’s son Johnny Brittain achieved major success in the International Six Day Trials riding the Royal Enfield Bullet Trials between 1948 and 1965. He won more than 50 trade championship events including the prestigious ACU star in 1956. In his 15 year career at the Trials, he won 13 gold medals! His long-standing association with the Redditch (England) based Royal Enfield saw him become an ambassador for the brand. The newly launched Royal Enfield Bullet Trials Works pays tribute to Johnny Brittain’s legacy at the International Six Days Trial. Royal Enfield Bullet Trials Replica Works are based on the existing Bullet 350 and Bullet 500 models. Several changes have been made which make them stand out from the crowd. First and foremost, they have got new colours. While the body retains a grey theme, the frame and swingarm have been given a contrasting colour. The smaller 350 gets a bright red layout while the 500 has an olive green colour. The bigger of the Bullet Trials gets a chrome tank cover to lend motorcycle a flashier look. Gone is the long and single seat which is replaced by a luggage rack adding to the practicality of the bike. Ready to carry your luggage in comfort to Leh? The handlebar has been reinforced with a crossbar which adds to structural rigidity. A crossbar will also save the handlebar from damage in case of falls. Both the variants also bear trimmed mudguards. Focused on off-road riding, the motorcycles gain new block pattern tyres sourced from Ceat (Progrips). Royal Enfield says that these will give the riders improved grip off the beaten track. An upside swept exhaust helps the bike get improved ground clearance. Sadly though, the suspension remains the same. Front wheel gets a 35 mm right side down telescopic fork with 130 mm of travel. The rear setup includes twin gas charged shock absorbers (adjustable preload) with 80 mm of travel. Both the 350cc and 500cc variant of the Royal Enfield Bullet Trials Works Replica get a front and rear wheel disc brakes. The front carries a 280 mm disc with twin-piston caliper while the rear gets a 240 mm disc with a single piston floating caliper. Dual channel ABS is standard in both the models. In comparison, the Bullet 350ES misses out on a rear disc and ABS. Royal Enfield though should have gone for switchable ABS in Bullet Trails Works Replica to give off-road riders more flexibility to slide the rear. Royal Enfield Bullet Trials Works Replica 350 gets a 20 mm longer wheelbase than the standard Bullet 350 at 1,390 mm. Surprisingly, it is smaller than Bullet 350 in length by a good 60 mm (2,140 mm). It also gets a more powerful 60/55 watt headlamp (the Bullet 350 gets a 35-watt bulb). Both versions of the new Bullet Trials (and the Bullet 500) gets a 19-inch front and an 18-inch rear wheel. The Bullet 350 though gets a 19-inch unit at both ends. Royal Enfield though has left the engines unchanged. Powering the Royal Enfield Bullet Trials Works 350 is powered by a 346cc single cylinder, twin spark, air-cooled engine. Mated to a 5-speed unit it produces 19.8 bhp of maximum power at 5,250 rpm and 28 Nm of peak torque at 4,000 rpm. The bigger Royal Enfield Bullet Trials Works Replica gets a fuel injected 499cc single cylinder air-cooled mill. Mated to a 5-speed gearbox it churns out 27.2 bhp of power at 5,250 rpm and 41.3 Nm of torque at 4,000 rpm. The gearing ratios have been left unchanged as Royal Enfield believes that the engines produce good bottom end torque to chug through all surfaces. The Chennai based manufacturer has also worked towards weight saving in the Bullet Trials. The bigger of the two variants, Bullet Trials 500 weighs 192 kg, a good 4 kilos lighter than the Bullet 500. The Bullet Trials 350 though weighs an unchanged 187 kg. 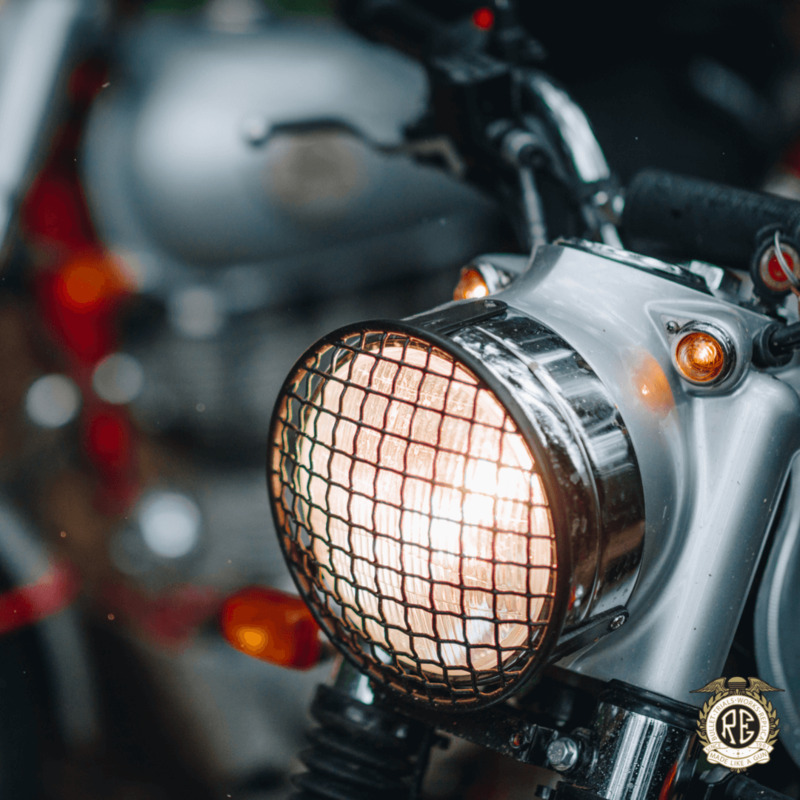 Royal Enfield is moving away from being just a motorcycle manufacturer who sells its products to a brand which sells experiences right from their media ride events to carefully curated customer events. The Royal Enfield Bullet Trials Works Replica is just another step towards this. The new modern Bullet Trials are not adventure motorcycles (that would be the Himalayan). They are in fact everyday motorcycles with some occasional off-road usage for the ‘experiential rides’. But hey, going to Ladakh is ever easier thanks to easy luggage carrying capacity and capability to come unscathed after a beating. Yes, Royal Enfield is charging a significant premium for the new Bullet Trials. The Royal Enfield Bullet Trials Works Replica 350 is priced at INR 1.62 lakhs (ex-showroom, Delhi) which is nearly 30,000 greenies more than the standard variant. The Bullet Trials Works Replica 500 is priced at INR 2.07 lakhs (ex-showroom, Delhi) which is INR 21,000 more than the standard Bullet 500.